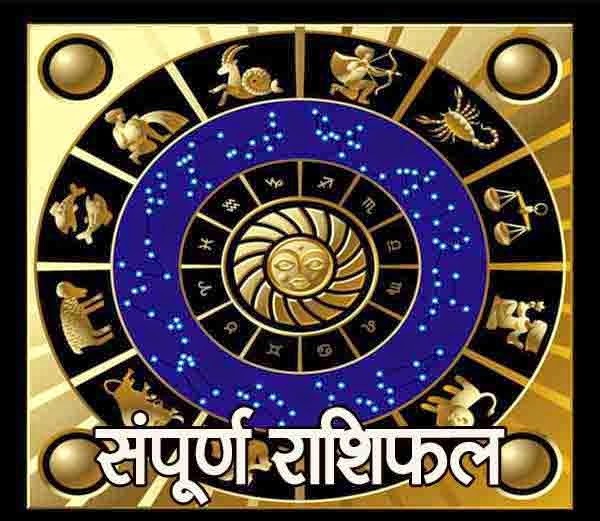 Check out the December 2015 month Horoscope (December 2015 rashifal) for all zodiac sign. This is December month's monthly prediction for all zodiac sign. Aries: You need to be very alert in the month of December. There are chances of some unexpected losses and your enemies may try to suppress you. You may feel unhealthy; hence, you are advised to be very alert. Try to stay away from fire and enemies. Some useless disputes may occur, avoid being their part and do not get involved in useless matters. If you are planning to start a new venture, you need to wait for some time, as this month is not suitable. You may have to face some losses in business. Other than this, your luck and family will be with you; hence, be calm and do not involve yourself in any new task. Chant Mahamrutanajay Mantra or Rudra Gayatri Mantra and wear clean clothes. Don’t take hot milk at night. Establish yantra in your vehicle to prevent from accident. Eat cardamom or anise before leaving home. Perform Havan of Kheer for Moon and distribute it in the form of sacred food Prasad. Respect women and gift a perfume to your wife or girlfriend. Donate mustard oil for pacifying Saturn. Offer food to leprosy patients. Auspicious dates are 4, 9, 16, 17 and 25. Inauspicious dates are 1, 2, 10, 19 and 28. Taurus: This week your courage is going to be the only support. Strong chances of financial losses are arising. So, stay very careful. Don’t involve into any risky or new task. Take the suggestion of elders or experienced people before taking any big decision, otherwise it might get wrong. It would be better to delay the journeys. Tensions are also possible from children. Avoid going on journeys with family. Prosperity will prevail at home by working in coordination with life partner. Luck will not favor you, so keep a control on yourself. Avoid journeys and new tasks. Stay away from drugs and addiction. Worship Maa Bhagwati and try to take bath before sunrise, otherwise problem of headache is possible. Avoid extreme cold and hot products. Take care of your relationships, make donations for Venus and offer Kheer to children. Auspicious dates are 9, 10, 11, 18 and 23. Inauspicious dates 5, 6, 14, 19 and 28. Gemini: You need to be very cautious and aware this time, especially regarding enemies and financial matters. If you are into business, income will reduce a lot. Take decisions only after thinking properly, otherwise losses are possible. Keep your eyes open and don’t trusts anyone blindly, otherwise people may cheat you. Health problems are also possible, take special care if suffering from allergy or any heart problem. You also need to control your expenses. It would be better to delay journeys, also don’t get into an argument with anyone and don’t take any financial decision in excitement, otherwise losses will occur. The time will test your patience, so stay calm and patient. The situation of planets is not favorable, so we advise you to do everything very cautiously. If your health is not well, medical negligence can increase the problem. Take care of your diet and lit a lamp of camphor regularly, for gaining the blessings of Lord Shiva. Yoga and meditation will also help you a lot. Auspicious dates are 7, 8, 17, 20 and 26. Inauspicious dates are 2, 5, 10, 14 and 22. Cancer: You will experience happiness this month even after lots of odd situations. Your mother or life-partner will become a reason for this. Apart from this, not many things are in favor. Financial losses may occur and problems from children are also possible. You have to try hard to gain success this month. Also there are great chances of disputes with close-friends and siblings. Don’t start anything new. Don’t go on journeys especially during the first half of the month. Have patience and wait for the good times ahead. If Jupiter and Ketu are not in favor, go for their Vedic peace remedy. Don’t consume sweets and make donations as much as possible. Chanting Vishnu Sahstranam will be extremely favorable. Distribute blankets among the poor. Auspicious dates are 4, 5, 14, 22 and 28. Inauspicious dates are 6, 8, 12, 17 and 21. Leo: Expenses may increase beyond a limit. Heart and stomach patients need to stay extra careful. Immense support will come from sisters or any female. Take care while talking to others; you may make new enemies by using bad words. Chances of success in government related works are there. Ideological differences may arise with parents. Some health problems are possible to your mother. Sudden profits and losses are possible. So, don’t take any risk and take all the financial decisions very carefully. You may get into a legal matter, so stay away from disputes this time. Control your anger; otherwise lots of problems are possible. Try to stay calm. Anger will not do good for anyone. Donate Besan Laddoo and vermilion to Lord Hanuman every Tuesday. Donate clothes and shoes to poor and needy according to your ability. Auspicious dates are 1, 7, 12, 18 and 25. Inauspicious dates are 2, 6, 15, 21 and 28. Virgo: Luck will support this month that means you will gain a great amount of money with the help of luck. But, your mind will remain unsatisfied. You will become very angry and speak bitter. You may start thinking in negative direction. Any event may provide you losses and insult. So, control on your anger and think positive. Tensions will arise with relatives and brothers. Try not to take or give money on debt. Married life may become very difficult. Possibilities of estrangement are there with life-partner. Bitterness will come in love relationships. Problems are also likely to arise in matters related to children and education. Maintain your calm and patience. This time, we will advise you to control your anger & words and have faith in god. If Dasha or Antar Dasha of any inauspicious planet is there, or if Kaal -Sarp Dosh is present in either first or seventh house, your problems may increase. If Dasha or Antar Dasha of Rahu is there, chant “Om Ram Rahvey Namah” to up to 18000 times. Chant this Mantra on an auspicious time on Saturday and also make donations to pacify Rahu like black cloth, sesame seeds, mustard oil and iron or steel utensils to your servants. Try to keep your servants away from addiction and make them happy. If problems are continuously increasing in married life, perform the ritual of Maa Katyayani with the help of a qualified scholar. Auspicious dates are 3, 9, 12, 15 and 21. Inauspicious dates are 4, 8, 10, 15, and 26. Libra: Material pleasures will increase a lot this time. You will take right decisions and your mind will also work in right direction. But, take care of your speech, and avoid being harsh, otherwise some losses are possible. You are also advised to stay calm. This doesn’t seem to be a good month, financially. It will become difficult for you to gain money and expenses will remain out of control. You will feel very angry so stay cautious while driving. Female natives will support you. Relationship will improve with life-partner and prosperity will prevail at home. Overall, this is going to be period of mixed results. Don’t drive in a state of anger or excitement. Offer a red cloth to Lord Hanuman. Auspicious dates are 7, 14, 15, 16 and 25. Inauspicious dates are 4, 5, 13, 22 and 28. Scorpio: This month you will take decisions very quickly. Money may come from some illegal ways and tendency of doing an illegal work will also increase. Chances of accidents are also there. You will feel distracted and restless. Turbulence may come in your behavior, so you are advised to control your anger and impulse. Politicians are likely to get success. Enemies will not disturb, but some secret enemies may also arise. Stay away from anger and don’t rush in doing anything. Drive slowly, and it will be very beneficial for you to maintain a distance from bad people and drugs. Auspicious dates are 3, 8, 9, 16 and 19. Inauspicious dates are 6, 17, 23, 24 and 25. Sagittarius: Expenses will increase up to three times of your income. Diseases and enemies both will destroy, but time is not good for financial matters. Losses may come from government sector. Results of legal matters may also not come in favor, try not to initiate any new dispute. You need to take care of your mother’s health. Unwanted and useless journeys may take place. Luck is not supporting you, so don’t take any financial risk and stay away from stock market. Overall, time is not favorable, stay cautious. Try to lead a stress free life. Worship Lord Saturn and Rudra. Auspicious dates are 1, 4, 11, 18 and 26. Inauspicious dates are 5, 8, 14, 23 and 29. Capricorn: Ups and downs will be there in your life. Money may come from any wrong medium. People will try to mislead you, money may come in a very large amount, but its result may not remain in favor. You are advised to not get into any kind of temptation and be adamant on the right track even in an adverse situation. Your mind will not remain under control. Disputes are likely to occur with siblings. Success will come in competition, but after doing a lot of efforts. Tensions related to children may arise. Pregnant ladies are advised to take special care. You will come in contact with political and influential people. Time is good for buying new home or vehicle. You can gain a lot of appreciation and respect, but there is only need to keep your thoughts under control. Overall, time will give you mixed results, so think wisely before taking any decision. Offer food to poor and visit to any religious place for taking a holy bath. Auspicious dates are 4, 9, 11, 18 and 22. Inauspicious dates are 1, 5, 6, 13 and 24. Aquarius: Stay cautious while driving and travelling, because chances of accident or injuries are there. Avoid unnecessary disputes. Possibilities of both financial losses and loss of respect are there. Someone may put wrong allegations on you. Tensions are possible in your relationship with father, so choose the proper words while talking to her. You may have to suffer resentment from higher officials or government. Differences are possible with children, especially with your son. Time is not favorable for starting anything new or for travelling, so delays your plans a bit, if not very important. Health problems to life-partner or mother are possible. Take care of your health. Overall, time is a little unfavorable, so stay patient and maintain your calm. Worship Maa Durga. Keep your mother happy and stay cautious from a male or female of similar age. Auspicious dates are 1, 2, 9, 13 and 20. Inauspicious dates are 6, 12, 18, 23 and 28. Pisces: You may go away from home for some time. Lots of problems are possible in married life. You may become a victim of unnecessary anger, stress, and hatred. Excitement will come in mind and in thoughts. Reduction in domestic happiness, losses in business, or financial loss due to any dispute is possible. Time is not at all favorable for starting anything new. Rather, it would be better to handle previous tasks properly. Time is unfavorable, maintain your calm, spend time in religious or social travel and be comfortable. Yoga and meditation are the best solutions for stress and tension. Try to follow a regular routine. Worshiping Lord Shiva and Lord Saturn and making donations for the sake of Saturn would be favorable. Auspicious dates are 6, 14, 15, 22 and 27. Inauspicious dates are 2, 6, 7, 13, and 23.